As a finishing touch to your room we offer our Faux Antler Decor Bowl. The remarkably realistic synthetic antlers are meticulously intertwined to cradle an elegant teeter bowl. 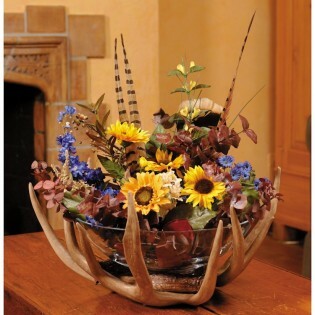 Add your own finishing touch with pot-potpourri, floating candles or your own floral arrangement.